The firm’s primary aim is to help clients to avoid litigation wherever possible. When litigation is unavoidable, Süle Law Firm focuses on the commercial objectives of clients, while assessing legal, commercial and reputational risks. Our firm gained thorough experience and knowledge in Hungarian and cross-border litigation. We offer a broad range of litigation services for domestic and international businesses in various areas of the industry. 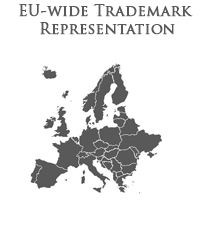 Our firm acts as legal counsel in civil matters involving breaches of contract, indemnification for damages, pecuniary claims, labor, copyright, patent, trademark infringement issues in litigation proceedings and acknowledgment and enforcement of European judicial decision. Our approach is a client-conscious approach and when we litigate we undertake to develop a deep understanding of our client’s business and business goals as well as business problems in the aim of settling the dispute in the most effective and convenient way. Our firm is well versed in complex cases with multiple claims and parties and also in enforcement issues and debt collection.